Are you planning a special event such as a wedding reception or birthday party? 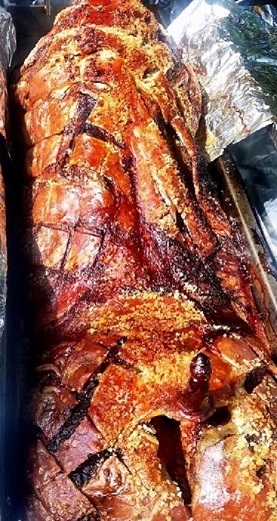 At Hog Roast Wales we understand that you will be searching for caterers to deliver something special for your guests whilst staying within your budget – that is why a hog roast might be the ideal option. 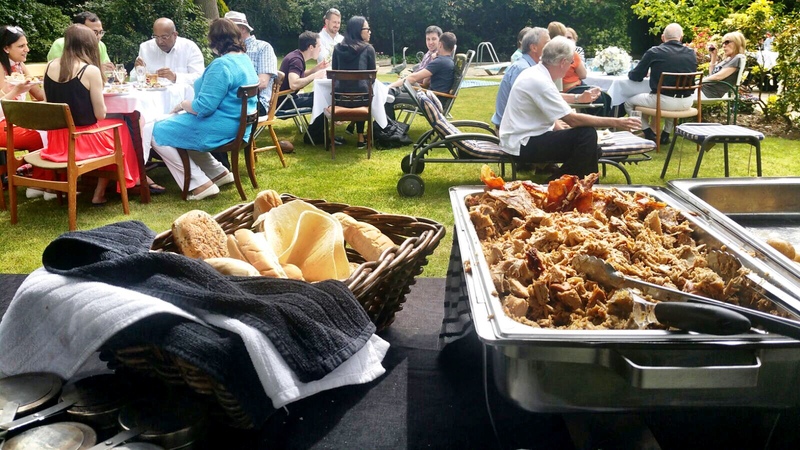 Our team from Hog Roast Wales will make sure that your guests are all well fed and taken care of, whether you are hosting a party indoors or outdoors. 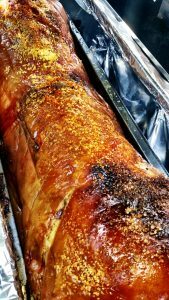 Booking catering from Hog Roast Wales could be perfect for your event as we will work with you to do hog roasts for all sizes of party. We realise that you may only want to invite a few select people, or you may want to have over 50; either way you will want something delicious to be served. Picture one of our succulent hogs being the show stopping event of the day – your guests will be in heaven with the smell and taste. 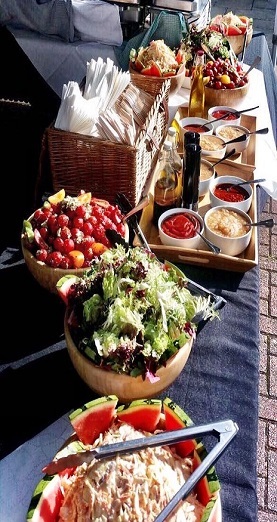 If you’re celebrating a special occasion, you may prefer to hire caterers to take most of the stress off you instead of going out to dine and here at Hog Roast Wales, we’re known throughout the country for providing tasty food at an affordable price. If you’re planning a party or event in the future, you need to know that you’ve hired caterers who won’t only not let you down but who also go the extra mile to ensure it’s a great success. We’re passionate about delivering and that’s both with our food and with our service. We use top quality, fresh ingredients and cook hog and spit roasts from scratch at your venue to produce fantastic fare that will make your mouth water. You’ll see that on your guests’ faces when they’re digging in and enjoying seconds of our pigs in buns, the bread rolls bursting with meat, crackling and our homemade apple sauce and stuffing. 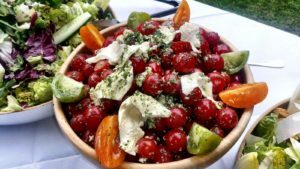 We also have lots of other food options if you prefer a barbecue or even formal dining, and there’s plenty of choices for any guests with dietary restrictions. Hog Roast Wales is waiting for your call, wherever in our beautiful country you’re located. We know that a special occasion is a big deal to you and your guests, which is why we do everything that we can to make your experience one of the best. Our team has over ten years of experience in safe hog roasting, and our professionalism is second to none. It may not surprise you to hear that we have had a lot of positive feedback from the many parties we have previously catered for, both big and small. So whether you are planning a corporate get-together or a memorable wedding reception, you can trust Hog Roast Wales to deliver. We know that you will have plenty of other details to arrange such as the DJ and chair covers, so we do all that we can to ensure that your catering requirements go without a hitch. From Holyhead all the way down to Swansea, and everywhere in-between, you’ll find Wales has a fascinating history, captivating Celtic legends and stunning natural beauty that you’ll never want to leave. We’re often ranked as one of the most beautiful countries in the world, and it’s no wonder. We have spectacular views from majestic mountains, gorgeous national parks and a stunning coastline. We have ageing castles and mystical abbeys, secluded waterfalls and ancient caves, secret beaches and even the longest zip wire in Europe. Whether you’re a hiker or a sailor, a festival-goer or a sports fan, a culture seeker or a history buff, Wales has everything you need and so much more. And if you’re a foodie, you’ll surely be in heaven when you see the number of fantastic restaurants, cafes and pubs that we have dotted around the country. Hog Roast Wales will provide everything that is needed to prepare and cook a hog roast in front of you and your guests. This generally will include the roasting machine, the gas, and the hog itself. We will be able to create a customised package for you when you get in touch with your requirements. It might be the case that you would like some additional food to be served alongside your hog roast, and we will also be able to take the number of guests into consideration. We cover all areas across Wales, from Cardiff to Rhyl and from Aberystwyth to Shrewsbury. So please get in touch with us as we're usually able to travel a little further with enough advanced notice. Copyright © 2019 Hog Roast Wales . All Rights Reserved.